Content is created and processed in a large number of systems. The idea of storing all the content in one content repository is not feasible in practice. Why not? And what to do about it? This whitepaper gives insights in the current trend in enterprise content management and how this trend has developed over years. 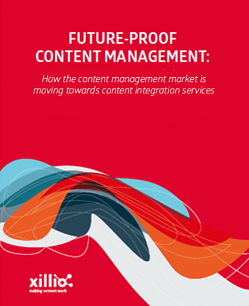 In addition, it gives suggestions on how to implement content integration in your future content management strategy.